Transparency International’s Global Corruption Barometer is the most extensive worldwide public opinion survey on views and experiences of corruption. Since the first edition in 2003, Transparency International run the survey 9 times, the last wave of data being collected in the period 2015-2017 from more than 162'000 respondents across 119 countries. The Global Corruption Barometer asks for people’s views on corruption in their country generally, how the level of corruption has changed and in which institutions the problem of corruption is most severe. It also provides a measure of people’s experience of bribery in the past year across six different services. Where questions have been repeated in multiple editions, the GCB allows direct comparisons over time to be established. Over timea number of changes to the questionnaire have been made, including an academic revision of the questionnaire in 2013, and questions have changed from year to year, with some cycling in and out. The Land Portal includes only a selection of the information collected in the GCB and features country-level aggregated indicators specific for the land sector, including the Incidence of bribes paid to institutions or organizations for land services (2009, 2010, 2011, 2013), the Perception of ''petty'' corruption for land services (2009 only) and the Perception of "grand" or political corruption in land matters (2009 only). According to the 2013 edition of the GCB, the land sector exhibit one of the highest bribery rate among public services: globally, 21% of the repsondents who needed land services declared they had to pay a bribe. The Land Portal also host TI's data for the Corruption Perception Index, which differs from the GCB. Whilst the latter (GCB) is a public opinion survey that offer views of the general public on corruption and its impact on their lives, the former (CPI) relies on the views of experts. 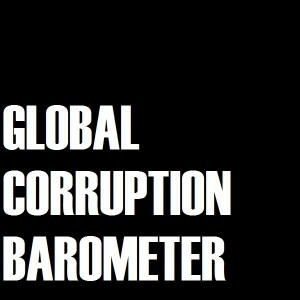 For more information around the TI's GCB please visit "Global Corruption Barometer: Citizens’ Voices From Around The World" or read the latest GCB Report.